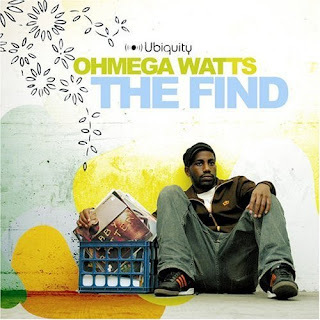 While the eclecticism of his debut album The Find won him many fans, Watts Happening pushes the envelope to reveal even more about MC/producer Ohmega Watts and continues to challenge the expectations of what a rap album could be. The record includes collaborations with lauded Philly-based MC/producer Jneiro Jarel and up n’coming Brazilian vocalist Tita Lima who appears on the DJ-friendly Brazilian-tinged excursion “Adaptacao.” Watts wrote “Are You Satisfied” for Bay Area blues n’funkstress, and one of James Brown’s favorite female vocalists Sugarpie Desanto, inspired by recent losses she suffered in a tragic fire at her Oakland home. London instrumentalist, and label mate, Shawn Lee also provides some key sounds from his over-stocked studio. The album includes features from favorite Watts cohorts like the Lightheaded crew, Triple Grip and Theory Hazit. No Delay is driven by a nasty bass-line deep into DJ-friendly head-nodding hip-hop territory. Ohmega Watts is joined on the mic by Surreal, the new MC for the Sound Providers (ABB), who hails from Florida. Surreal also appeared on "Saturday Night Live" from Ohmega Watts' The Find album. "Saywhayusay" is a signature Ohmega Watts instrumental club jam. Starting off with a rough old-school hip hop beat, the mood soon changes with the introduction of a Brazilian Batucada rhythm. Adding to the carnival time pressure is Todd Simon (of Breakestra and Antibalas fame) who beefs up the track with ballistic horn riffs. 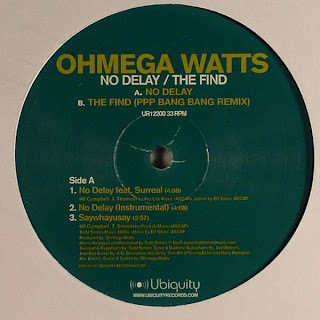 On the flip Waajeed from PPP takes "The Find", the title track from the Ohmega Watts debut album, and moulds it into a mid-tempo club track complete with big bass-line and shiny horns. An instrumental of the mix is included for all Bling 47 beat fiends. 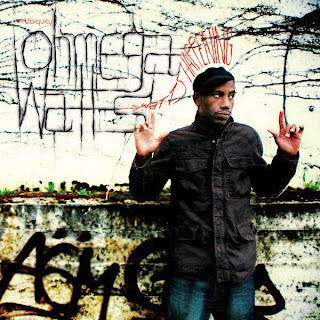 Huge 22 track album of energetic hip hop funk n’soul from head turning MC and producer Ohmega Watts. MC and producer Ohmega Watts makes organic and energetic hip hop, funk and soul. It’s original, from the heart, straight no chaser music. Offering both quantity and quality “The Find” is 21 tracks deep and jumps from the laid-back sunshine styled “Where It All Started” and soulful “Your Love” to the turntable-bound rare groove-fueled breaks of “Move!” Inspired as much by hip hop legends like Eric B & Rakim and Premier as contemporary electronic producers like RJD2 and The Herbaliser, “The Find” pushes industry-standard boundaries. Hailing from Flatbush, Brooklyn, brought-up by Jamaican parents Milton Campbell aka Ohmega Watts moved to Florida and now resides amidst a bustling Portland, Oregon scene.